Landfall Freight Is Your New Favorite Subscription Box! There are LOTS of subscription boxes out there, and even just in the geek space alone, the market is pretty darn crowded with the different types of boxes you can get. Even though there’s a lot of awesome out there, after a while they can all start to seems somewhat similar. A geeky shirt, a collectible of some sort, same old same old. But then Landfall Freight came around and shook things up a bit. Unlike most of the other “geeky” subscription boxes out there, Landfall is a comics-focused box that not only gives you awesome comics, but it also celebrates women in comics–from women creators to some of our favorite female characters out there. So when I got the chance to check out one of their boxes, I just couldn’t pass it up. First thing I noticed was the box itself was absolutely adorable. 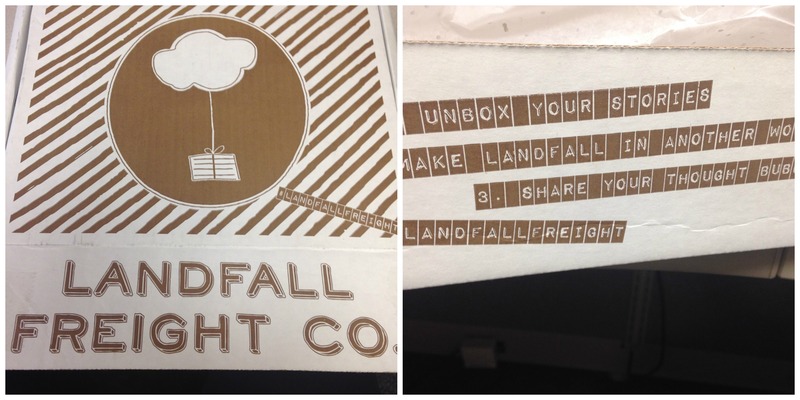 I’ll admit it, I’m a sucker for cute packaging, and Landfall Freight definitely caught my eye with their presentation. But even better than their packaging were the prizes that waited for me inside. My box contained three books: an issue of Lumberjanes, an issue of Plutona, and a hardcover graphic novel called Honor Girl. They also sent along a Landfall Freight patch, a super yummy smelling candle, and their signature: a caramel apple pop. So why should you pick Landfall Freight out of ALL the other subscription boxes out there? Because Landfall is different–it’s providing you with “geeky” things, yes, but they’re things you can actually use, not just more geeky tees to stuff into your already overflowing drawers or more collectibles to jam onto your desk. Plus, it’s all about celebrating awesome women in the comics space, which I think is fantastic. If you want to try out Landfall Freight, head to their website. And, because I love you guys, if you enter in the promo DISTRACTED10, you’ll get 10% off your first box! So what are you waiting for? Check out Landfall Freight! Yeah, that’s why I really like Landfall. It’s something different! The market is getting a wee bit crowded with similar types of boxes, so I’m excited to see someone breaking out of the pack! And I’ll definitely check out your blog! Gah it’s things like this that make me hate my budget haha! What an amazing sub box! !